Sometimes I have a feeling about a book and where it might fall on my own reviewer scale, even before I pick it up and start reading. This was one of those books. I thought it would be a book that was good but not great. Sometimes fictionalized accounts of historical figures lives can go very right or very wrong. I am not a big Jack London fan or a Harry Houdini fan….so I was ready to put this book firmly in the three star category before I even started the first page. San Francisco, 1915. As America teeters on the brink of world war, Charmian and her husband, famed novelist Jack London, wrestle with genius and desire, politics and marital competitiveness. Charmian longs to be viewed as an equal partner who put her own career on hold to support her husband, but Jack doesn’t see it that way…until Charmian is pulled from the audience during a magic show by escape artist Harry Houdini, a man enmeshed in his own complicated marriage. Suddenly, charmed by the attention Houdini pays her and entranced by his sexual magnetism, Charmian’s eyes open to a world of possibilities that could be her escape. As Charmian grapples with her urge to explore the forbidden, Jack’s increasingly reckless behavior threatens her dedication. Now torn between two of history’s most mysterious and charismatic figures, she must find the courage to forge her own path, even as she fears the loss of everything she holds dear (summary from Goodreads). Sometimes we are just primed to love or hate a book based on a cover, a review or even publicity flooding. There has been a lot of buzz about this book and the cover is lovely to look at but for me I just wasn’t sure I was going to love it, which is completely unfair I know but sometimes it just happens. That said, I felt like I owed it to the author to give it a fair shot and try to not place it firmly in the category of ‘ok’. After a few chapters, I realized I was reading something more than just ok. I don’t know much–ok anything–about Jack London and his personal life. i haven’t read his novels and frankly have zero desire to read them, so this novel was a little hard to get into especially if you don’t have any background on the famous couple. Once I got my bearings of their lives and some background, I was able to really get lost in the romance story. Jack London was a complicated character and I liked seeing how Rosenberg depicted him in the novel. Charmian is so wrapped up in Jack that I often felt that she didn’t even know who she was without him. Talk about codependent. But as we got to know her in the story, it was clear that she had this unrealistic ideal of what romance was or was supposed to be especially when it came to Jack. Complicated marriage is such a basic way to describe their marriage but yet if I try to describe it any other way, it takes on a life of it’s own so lets just leave it as ‘it’s complicated’. I loved how honest that part was. The ‘friendship’ Charmian had with Harry and his wife was dramatic. When I say dramatic what I really mean is superficial. I couldn’t help but feel that Charmian was clearly NOT a friend to Harry’s wife and I don’t think she was meant to be a real friend to her even from the beginning. I enjoyed seeing how different the relationship was between all the characters. This book was so clearly about moral ambiguity and how easy those lines can be blurred and how easy it is to idealized people and their situations. I thought about this book a long time after I read it and often I found myself wondering what would I do if I were in Charmian’s place. For me the fact that I kept coming back to this story was a sign of a great read. While I sometimes didn’t always like Charmian and her choices, I liked the complexity of the novel and it was so much more than a three star book. Lovely writing and engaging story that will leave readers questioning and wondering about the real lives of some of America’s most well known figures. 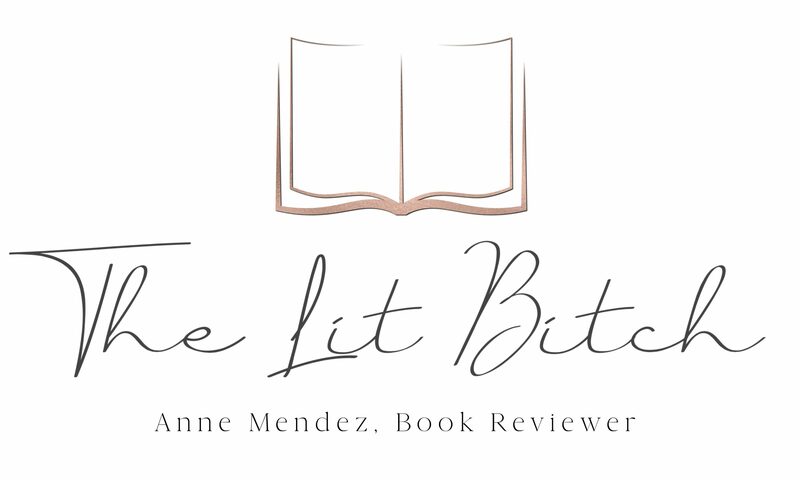 Be sure to check out other stops on the virtual book tour where you can read author interviews, enter giveaways, and read other reviews. Looking forward to reading it..
Yeah, I am so happy that you enjoyed it more than you expected. I love it when that happens! Great review! I had a suspicion we’ve been on several tours together – I wasn’t sure if we were on this one until I spied your tweets about it recently! I thought it was quite lovely of the author to ‘quote’ from our reviews and give us quote cards for Twitter! 🙂 Very lovely of her and it was nice knowing she was pulling out different thoughts and perspectives from what we were all sharing whilst we ruminated about the story itself. As you might have already seen – I had some issues with the context of the story but also, in the end, what bothered me a bit is how the actual story deviated a bit too widely away from the reality of the characters’ lives IRL. I do admit, I held on to see how it would conclude – but I found it to be a more conflicted reading experience wherein what I said on Twitter about Zelda having a better life truly is my final takeaway. She found peace at the end of her life (despite the tragedy) and understood who she was a creative woman, a painter and a writer. She owned her uniqueness and a lot of what she struggled with melted away through self-acceptance and understanding of what caused all her health ailments. I didn’t step away from reading about Mrs London feeling the same kind of ‘resolution’ to her life’s woes or her saucy inclinations towards causal relationships and hookups. To me she felt more self-centred and self-motivating towards doing what appeased her own desires rather than being a true second half to any of the men in her life; plus I was bothered by how she treated Bess Houdini. 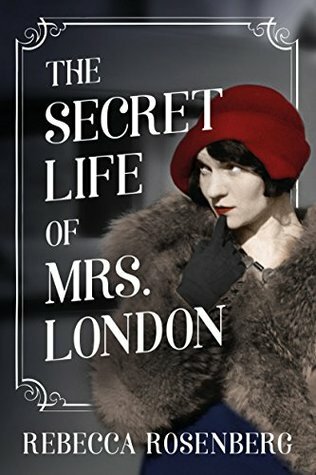 I guess you could say having felt attached to Zelda, I struggled to understand Mrs London and I think that struggle to find traction is seen in what I blogged. I was thrilled when I read your thoughts about Bess! 🙂 I was surprised others hadn’t been noticing this tendency to be superficially positive in the lives of women Mrs London interacted with as I felt it was one of her cardinal faults. I loved reading your thoughts!! You always put your heart into how you talk about your reading life and it’s lovely to visit with you! 🙂 Are you participating in the HistFic Reading Challenge on Passages to the Past? I’m finally getting ‘active’ after years of tracking my progress outside official participation! lol I’m finding by adding my links to the linkys more HistFic lovers have been finding me lately which is a nice unexpected JOY.